Who would have thought you needed to line your socks. Well, welcome to the future of comfort guys, because these F2161 051 White CoolMax Sock Liners from Wigwam are your answer to sore, blistery feet. With a combination of 60% CoolMax, 35% stretch nylon and 5 ... (see full details) (see specifications) #WGWF2161-051. Who would have thought you needed to line your socks. Well, welcome to the future of comfort guys, because these F2161 051 White CoolMax Sock Liners from Wigwam are your answer to sore, blistery feet. With a combination of 60% CoolMax, 35% stretch nylon and 5% Lycra spandex fibers, these white Sock Liners offer comfort like no other. The specialized CoolMax works to wick away moisture and perspiration from your feet so you stay dry, cool and comfortable all day long. The spandex and nylon provide stretch for a perfect fit that stays in place. The liners help reduce blistering by allowing the friction caused by walking to take place between the liner and the sock. Long days on the job won't be so rough on your feet once you slip into these Wigwam F2161 051 White CoolMax Sock Liners. Pick up your pair today and say goodbye to blisters and hello to comfortable, dry feet. Works with any kind of sock and makes your feet so much dryer and comfortable. I have a lot of brands of huntin socks, but they just don't do me a good job. Then I saw these liners and said, hey, I can get these and still wear my old socks. Well, I tried a pair, liked them so much I'm back for more. Works great. 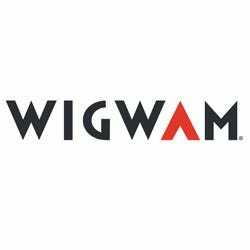 I got to thinking, if wigwam socks are suppose to be so good, why do they make these here liners. Then my wife said, hey dummy, wear them with your WalMart socks then. By golly, the ole lady was right, they sure do make them old socks feel a LOT better. I wear the liners along with my Wigwam socks when Im playing tennis. My feet really take a lot of beatings and the combination sure feels good. I found this product years ago, and found them to be great in all weather. I could not find them locally for a while, but rediscovered them at Working Person's Store. I like them so much that I am also ordering some for my wife. I am confident that she will soon be wearing them under all of her socks. I have tried, but I haven't found better prices on Carhartt for women. You have great service. You also have the best shipping deal on the internet, period. The quality of the merchandise has been great, and you will special order for me if its not an in-stock item. Overall, you are the best, and I recommend your website to anyone I know. Wigwam Socks: Coolmax Sock Liners F2161 051 is being added to your cart.